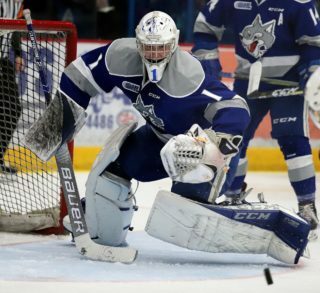 The Sudbury Wolves have a number of young prospects that have enjoyed success this season. 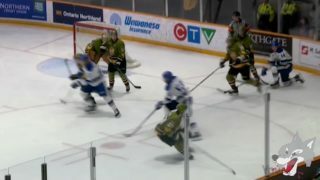 SHANE BULITKA, the Wolves 2nd round selection in last year’s OHL Priority Selection, led the Strathroy Rockets Jr team of the GOJHL, in scoring this season with 16 goals and 26 helpers for 42 points in just 41 games. 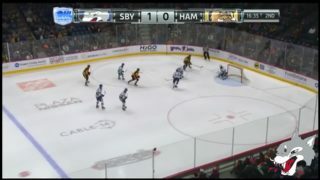 Bulitka also managed to record six points in five play-off games to finish in second-place in team scoring, as the London-area native worked very hard this season to further develop his offensive skill. Bulitka is looking to push for a starting role with the Wolves next season. 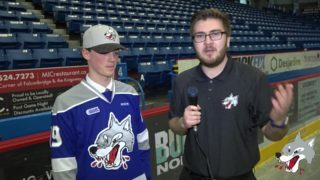 OWEN LANE, the Wolves 3rd round selection in last year’s OHL Priority Selection, is also enjoying a successful season as the Kitchener youngster scored 23 goals in just 38 games played for the Kitchener Dutchmen Jr team of the GOJHL. Lane, 16, added 17 assists for a 40 points regular season. Lane and his Kitchener teammates have advanced to the second-round of the play-offs against the Waterloo Siskins. Lane is expected to provided some scoring-punch for the Wolves next season as the Wolves will need to add to their offensive totals. JAKE MCGRATH, had a solid season for the Toronto St. Michael’s Buzzers Jr. A team of the OJHL. The Toronto native played in 28 games this season and recorded a very healthy 15-10-1-1 win-loss-otl record and a 3.37 goals against average and a .908 save percentage as a 16 year old rookie. 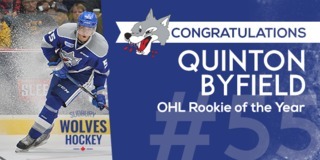 McGrath was selected by the Wolves in the 8th round of the 2015 Priority Selection and has been identified as one of the top rookies in the OJHL this season. McGrath also participated in the World U17 Challenge tournament in Calgary in November as a member of Team Ontario. 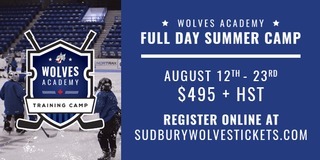 MAKE WAY FOR THE NEW as the Sudbury Wolves future looks very bright with these young stars…in waiting!